PRP (blood plasma enriched with platelets) therapy involves injecting your own platelet-enriched serum to regenerate and induce a bio-stimulation of your cells. Platelet Rich Plasma is obtained by drawing your blood. It is a 100% natural and biocompatible method, allowing cell regeneration and skin rejuvenation. There is no risk of significant side effects. Those who are worried about being injected with foreign molecules, either as a matter of principle or due of past side effects, really appreciate PRP treatments. Platelet extracts have been used since the 1990s for their healing properties, particularly in orthopedics and restorative surgery. Main indications for PRP in dermatology are androgenetic alopecia, wound healing and face rejuvenation. We are now able to procure affordable tubes to prepare the blood plasma, which explains the decrease in prices (before, PRP sessions were only practiced in specialized establishments and could cost up to several thousand francs). 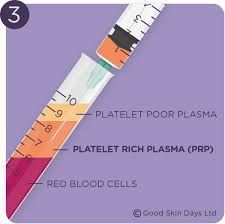 What does Platelet Rich Plasma do to my cells? Platelets have regenerative properties to repair and recreate living tissue at the injection site. PRP is a concentrated source of autologous platelets, in other terms it contains several different growth factors and other cytokines that can stimulate healing of soft tissue. It is this natural ability to heal tissue through autologous growth factors that makes the PRP technique successful. Injecting plasma thus results in cellular regeneration, bio-stimulation with collagen and elastin production, with better vascularization of tissues. Fine, rarefied or damaged hair also benefit from PRP by producing capillary regrowth, improving microcirculation and stimulating hair bulbs. Basically, PRP injections give the tissues the same signal as if there had been an injury, inducing a mechanism of tissue repair, similar to wound healing. There are significant differences in the preparation of PRP depending on where you go.In the US, some Doctors have renamed PRP as "Vampire Lift", because whole blood is injected (without removing red blood cells) due to their fear of handling blood. However, whole blood injections cannot compare to PRP as practised in our Clinic. Indeed Vampire Lift injections tend to create immense hematomas at the injection site. The other major drawback of this technique is the high risk of pigmentation left by the iron contained in red blood cells (as after a bruise). Some Clinics prepare only a little PRP at a time and inject superficially, thus requiring numerous repeat sessions for any effect to become possible. In our Clinic, efficacy of treatments is our top priority. Our protocol involves concentrating platelets 3–5 times the physiological value and then injecting this concentrated plasma immediately in the tissue where healing or effect is desired. We consider that, in order for PRP treatments to produce tangible results, a sufficient amount of plasma needs to be injected and at a depth allowing it to work. For this reason we draw enough blood for two PRP tubes and Dr Roux takes the time to inject, by hand, properly. Indeed, due to its texture, it is impossible to inject platelet-rich plasma correctly with a device. 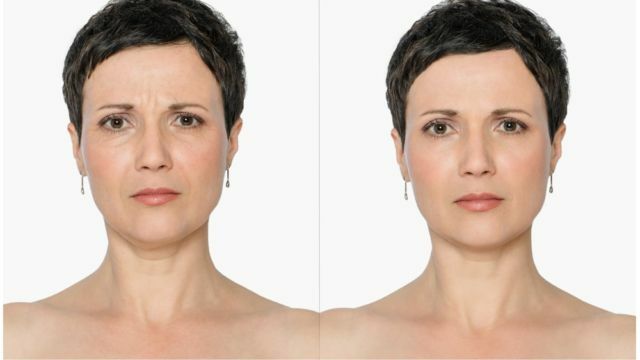 We must emphasise that injecting smaller quantities superficially (as one would in a mesotherapy) may certainly explain lower PRP prices elsewhere, but you should know that such superficial PRP injection techniques will be far from satisfactory, result-wise. 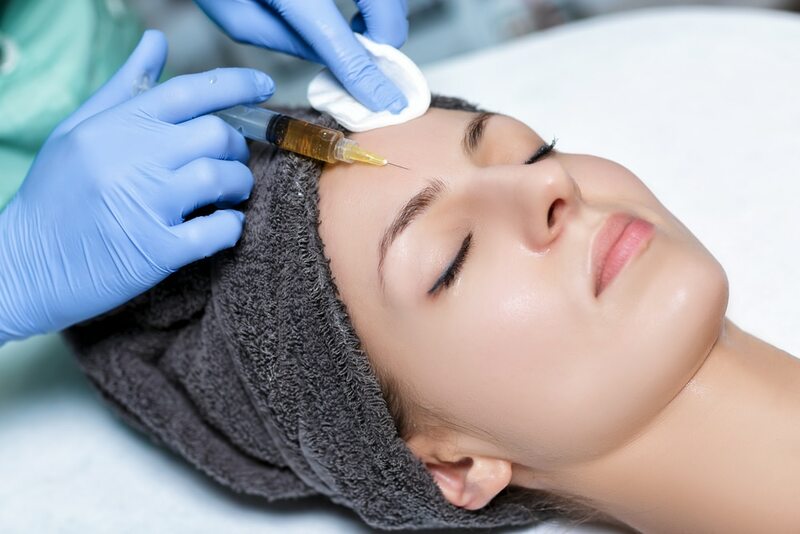 It is only with the proper manual injection technique, an adequate quantity of serum, that stem cells attraction actually happens (which is one of PRP's main purposes) and cutaneous repair starts unfoloding during the 2-3 months after the session. If things are done properly from the start, repeat sessions will be few and far between (and certainly not every 3-4 weeks which is simply nonsensical due to the sheer time cell rejeneration takes). When PRP is properly done there will be no need for numerous repeat sessions (normally 1-2 sessions per year are quite sufficient). Any skin area can benefit from the PRP. The treatment is performed by multiple small and superficial injections in the chosen site (e.g. around the eyes, crow's feet, pockets, fine lines, dark circles, around the mouth). We can also regenerate areas such as the neck, cleavage, hands, and the scalp (hair loss, dry, fine or damaged hair), restore devitalized, wrinkled or dehydrated skin, improve waxy or blurred complexion, correct scars and stretch marks. Usually just one blood sample allows us to prepare approx. 12 ml of plasma, which is more than enough to to properly treat the whole face, plus insist around the eyes, and also put a little PRP in the neck, for example, in the same session. What results may I expect from a Platelet Rich Plasma treatment? 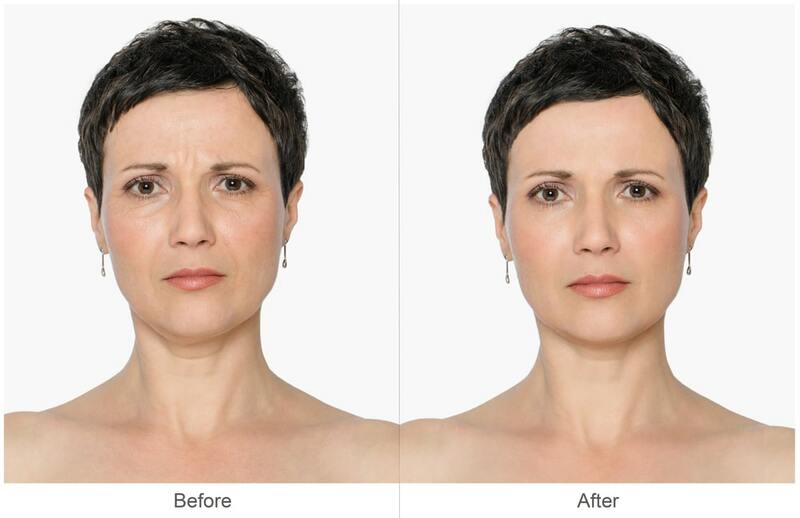 PRP provides facial cellular regeneration. 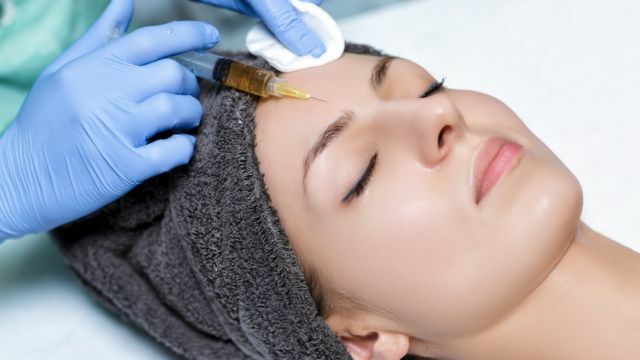 Ultimately, a significant increase in the elasticity of the skin, its thickness , rehydration and rejuvenation of the face, granting it a healthy glow is due to PRP injections. Dark circles, fine lines, sagging skin are diminished. This stimulation of collagen and elastin is a real rejuvenation in the sense that it is the loss of cutaneous elasticity and hydration that are in the first place responsible for skin aging. Does the PRP also work for the hair? PRP is an essential treatment for hair loss and loss of texture. 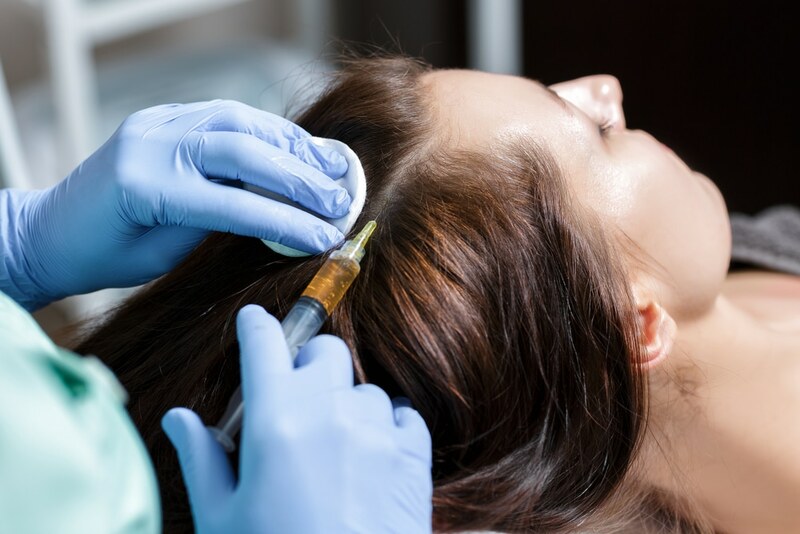 First noticeable improvement after PRP injections is a healthier scalp, better quality and quantity of hair, followed by progressive re-growth. 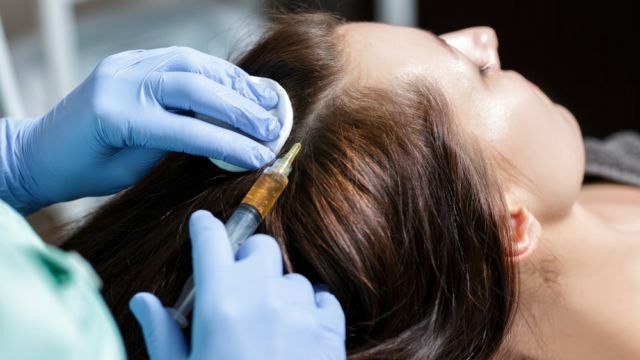 Platelet-rich Plasma improves hair texture and limits hair loss. Are there any risks to my health with PRP? No. 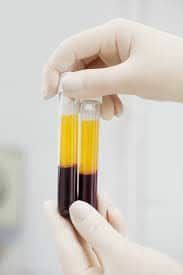 Platelet-rich plasma treatments are safe and well documented and do not present any health hazard if used by professionals under strict medical supervision and in complete abiding of all medical safety and hygiene standards. PRP is not indicated for pregnant women, patients taking anticoagulants or suffering from cancerous or suspicious lesions on the skin. Blood diseases, severe anaemia, diabetes, certain autoimmune diseases are also contraindicated for plasma injections. What is a PRP session like? The whole session lasts approximately 1 hour. Everything is prepared on site in our Clinic. No fasting required. We encourage you to drink enough liquid (water, tea, juice) before we draw your blood. Make-up is removed and skin disinfected, before applying a local anaesthetic. Your blood is collected and your PRP is prepared by our lab technician. Concentrated plasma is injected 1-2 mm deep, every centimeter approximately, by Dr Roux. Thanks to local anaesthesia, you hardly feel a thing. We like to favour eye contour, around the mouth, and the neck. It is also possible to focus on cleavage or hands. After plasma injections, some redness and blotching is to be expected, decreasing the following days. Make-up is authorised after a PRP treatment. Cold helps with bruising after the session. In the hours following injections, complexion and skin condition already show marked improvements : reduced fine lines, improved skin aspect and elasticity, less sagging. This is a treatment that will enable to to regain youth and prolong it, obtain a clearer, radiant complexion. It helps prevent skin aging, treats under eyes circles, etc. We are talking of a real "skin rejuvenation" since there is actual cellular regeneration thanks to the PRP (growth factors, stem cells). You can move your face after PRP injections but please avoid massaging for 4 hours. Avoid rubbing or massaging any areas with redness, swelling, or papules until complete disappearance. After PRP you can apply a cold-pack in case of local discomfort, arnica gel in case of bruising, and of course use a highly moisturizing day cream to counteract any dryness. We discourage excessive heat for 4 days following the treatment of PRP (sauna, hammam, solarium, sun). Makeup and mild skin care can be resumed the following day (avoid face scrubs and dermabrasions for a few days). Cell regeneration obtained is long-lasting. If the skin is in good enough condition at the start, one session a year should suffice. For severely damaged areas, two initial sessions may be necessary 3-6 months apart, followed by one repeat session per year. The whole session lasts approximately 45 minutes. Everything is prepared on site in our Clinic. Hair must be clean, preferably without hair spray or gel. Anaesthetic sprays are of no use for hair scalp. Dr Roux gently injects PRP circa every 3-4 cm, at 1-2 mm deep, and focuses on most damaged or most depleted areas. Injections are a little sensitive, but only for a short while. As the scalp is highly vascularized, a little bleeding may occur shortly during injections. You can wash your hair after the session. We often advise to take a scarf or hat to go home, because your hairdo will be tousled. For hair, things are a little slower due to time needed for hair bulbs to start producing new follicles. After a few weeks, you will notice improved hair quality, due to the microcirculation of the scalp and stimulation of hair bulbs. About one month after the first session, the hair is visibly more beautiful, thicker, has more luster and is more resistant. New hair and regrowth of thinning areas (revitalization of the hair bulbs) begins after 2-3 months in general. You can touch your scalp after PRP injections but please avoid massaging for 4 hours. You can wash your hair quickly after the PRP session. 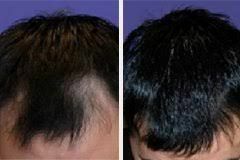 In the event of serious hair loss, two initial sessions (spaced 3-6 months) will be suggested. Then it is advisable to do 1 maintenance session a year (sometimes 2/year as required).